Hope Community – Strengthening the power of communities. Please enjoy our Year End Newsletter as we reflect on a successful 2018. Hope Community creates connections that strengthen the power of community members and communities. 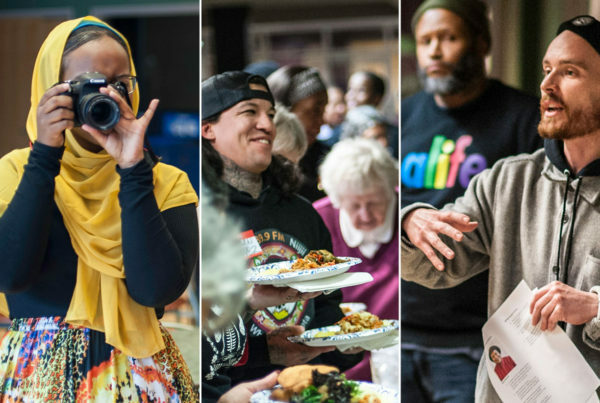 We cultivate community leaders, build community capacity, care for the housing and community spaces we develop, and pursue equity and diversity in all we do. What Hope does can change over time in response to opportunities and community interest. How we do it is rooted in values and an approach. That stays the same. EQUITY IS A CORE VALUE. Equity is a core value. Hope recognizes the important role of race and culture in the Phillips neighborhood where we are based and other neighborhoods like it. Racial and economy equity are at the core as we work toward systems change. PEOPLE SEE ASSETS IN THEIR COMMUNITIES. An alternative to gentrification. In Hope listening sessions, most people tell us that they want to stay in this diverse community, AND they want access to more opportunities. 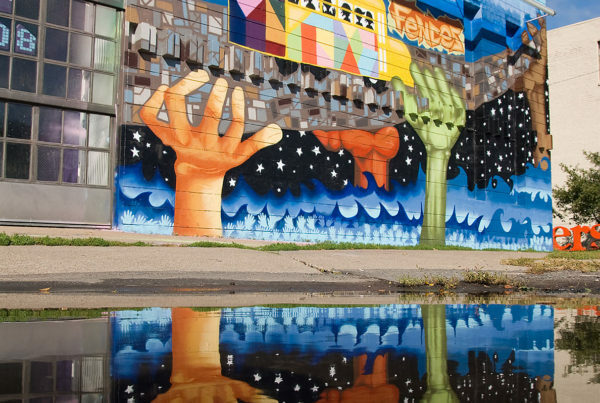 Hope’s work is inspired by an alternative to gentrification. Diverse people work toward the community they want for themselves and their families. Connections, leadership and power. We create spaces and opportunities for people to come together, learn together and build power together. Hope intentionally creates an environment with multiple opportunities at different levels of engagement. Many people engage across interest areas and dig in deeper. People build stronger networks, develop their own community leadership and act together for change. Partnerships with dozens of organizations add to and strengthen this web of relationships. Listening is action. Since 1997, more than 4,000 people have shared their hopes, dreams, fears, opinions, ideas and values in Hope-organized dialogues. Whether through formal processes or our daily connections, listening is action at Hope. It builds power and profoundly influences our work. Complexity is good. Communities are complex—people, relationships, systems and even physical spaces are constantly changing. Hope plans for change, using an innovative and flexible approach that rewards creativity and learning—even learning through failure. The Aspen Institute Roundtable on Community Change invited Hope to join a national cohort of organizations to contribute to the body of knowledge on complexity theory related to community change. We reflect and innovate. Reflection is a part of everything we do. We learn by trying, evaluating and evolving. Across all our programs we’re creating spaces where community leaders can build their own leadership. We look for how community people are taking action, as well as how we are adapting to new ideas and changing realities. Last year we conducted interviews with 41 community members to assess their leadership development—every person, across age, race and gender, had taken on new community leadership roles. Growing impact. Hope’s work has always benefited people and communities well beyond a few city blocks. As we’ve grown and evolved, the voices of community members involved in our work have reached a critical mass that is having a broader impact on the intersecting systems that affect our daily lives. THE SUM IS MORE THAN THE PARTS. THOUSANDS OF PEOPLE LIVE, LISTEN, LEARN, LEAD AND ACT TOGETHER IN MANY WAYS AT HOPE. IT ALL ADDS UP TO LASTING INDIVIDUAL AND COMMUNITY CAPACITY AND A STRONGER, HEALTHIER COMMUNITY.